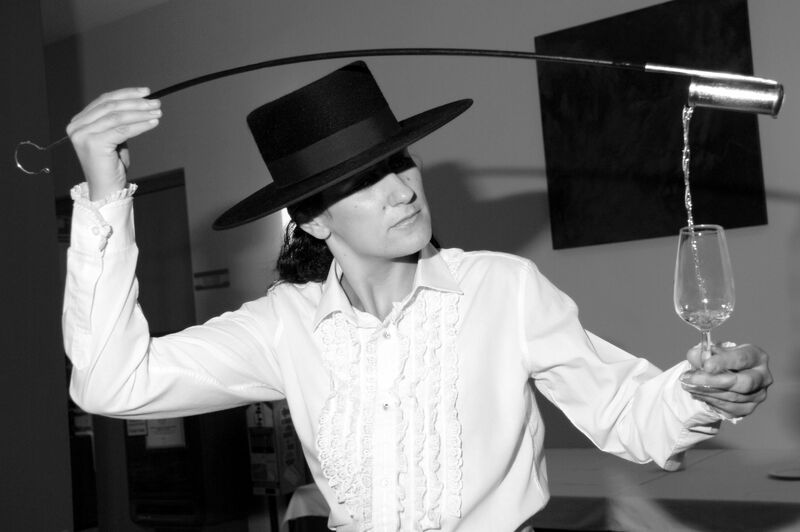 It is always wonderful to introduce people to the delights of Sherry on our Tapas Tours in Málaga – it is such a highly under-rated drink. Sherry is “possibly” one of the most “happening” drinks of the moment (along with Craft Beer). Gone is the image of the maiden aunt sipping her one alcoholic drink of the year on Christmas morning, and instead it is now known as a “sophisticated tipple”. 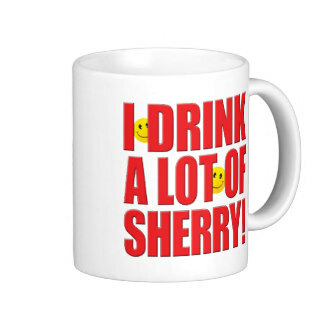 The locals rarely drink sherry that is not accompanied by food of some kind. The “Sherry Triangle” bordered by the city of Jerez to the east, Sanlucar de Barrameda to the north-west and El Puerto de Santa Maria in the south – all in the extreme west of the region of Andalucia, Spain – is the exclusive producer of the fortified wine owing to climate of stifilingly hot summer months compensated for by some biting cool Atlantic winds in other seasons. However, the main reason for the way the vines grow here is the very distinctive soil type which is heavy chalk and limestone. Add into the mix, a complex manufacturing and blending process and you end up with this very unique and palatable beverage that many say is unrivalled. 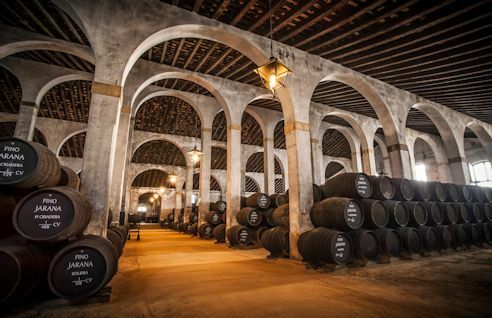 Official sherry classifications are Dry, Pale Cream, Medium and Cream. Tha ageing process is vitally important with the main difference being that some sherries are “biologically aged” with a layer of flor yeast as a covering layer on top of the sherry – these are Fino and Manzanilla (and basically dry white sherries). 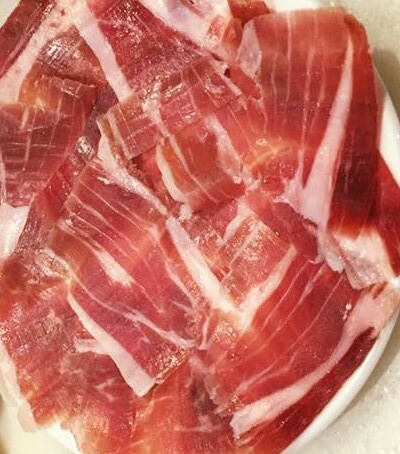 These can really be paired with anything ,but especially with fish and seafood, the wonderful cured ham that Spain is so famous for, and also with spicy food and dishes that are fried in olive oil. Then you have the Oloroso sherries that are “oxidatively aged” with no layer of flor yeast on the top. This is akin to a red wine, dry, rich and much more full-bodied than the dry whites for example and it is most often paired with game, grilled meats and the robust stews and casseroles. Just to throw a “spanner” in the way the ageing porcess works, you then have Amontillado and Palo Cortado which start out being “biologically aged” but as the maturing porcess continues they gradually lose the layer of flor yeast and continue ageing “oxidatively” making them a more medium-bodied sherry. They are often described as being “nuttier” We often pair an amontillado with an oily fish such as the famous sardines that are served here in Málaga and Palo Cortado goes well with cheeses. That said, we have had them with game, cured meats and more – they all tend to have slightly differing textures and flavours so find one you like and try pairing with different foods. Then come the naturally sweet sherries of Pedro Ximenez (often called “PX”) and Moscatel – mostly taken with desserts (although try a cabrales blue cheese with either of them!!! Many a time have my Spanish friend poured PX over ice-cream! Add fresh figs into the mix and you have me! Vino Dulce or Cream sherries are a further category that have been artificially sweetened. Until 2012 there was a sweet oloroso that had been sweetened artificially by adding sugar, but the name was banned by the powers that be and it is now called Cream Sherry. 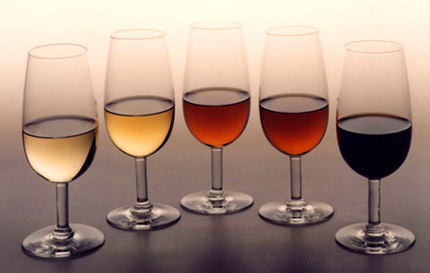 Here in Málaga we have our own version of the sweeter fortified wines known as Málaga Dulce or Málaga Virgen – both are produced using the Pedro Ximenez and the Moscatel grape. In most of the bars in Málaga you will find Manzanilla or Fino available but fewer bars serve the other types of sherry (although the sweet and locally made Málaga Dulce and Málaga Virgen are widely available). This entry was posted on February 28, 2016 by Tapas in Malaga in Culture in Malaga, Málaga, Sherry, Sherry Pairing, Tapas, Uncategorized, Wine Pairing and tagged Andalucia, Food & Wine Pairing, Gourmet Dining in Malaga, Gourmet Spain, Guided Gourmet Tapas Tours in Malaga, Guided Tours in Malaga, Malaga Shore Excursions, Sherry, Spain, Tapas.